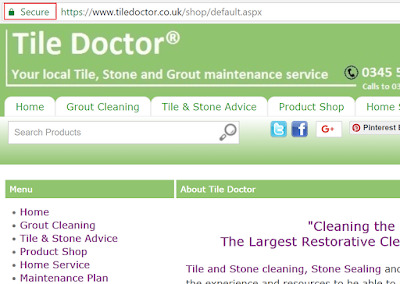 Internet users are being made increasingly aware of the importance of using encryption when shopping on-line and this has resulted in an increase in questions from concerned customers who noticed that our site was not displaying the secure padlock. The credit card processing pages on our main website which are provided by our merchant SagePay have always been secured with high level encryption but the main website wasn't and this had led to confusion. 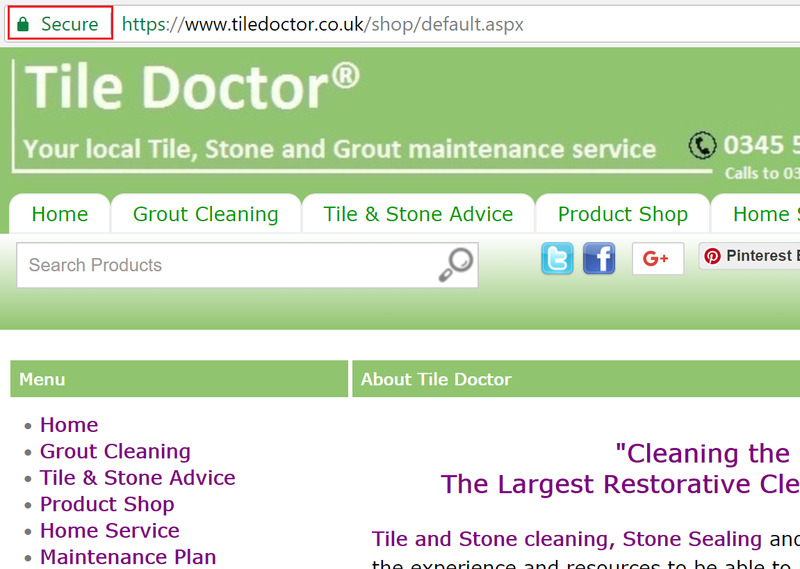 As a result we decided to make the whole site secure and after some work I can now report that all the pages on the www.tiledoctor.co.uk website are now 100% secure and covered by high level SSL encryption.